Aligarh Muslim University has honored Olympic silver medalist Vijay Kumar with doctorate degree. 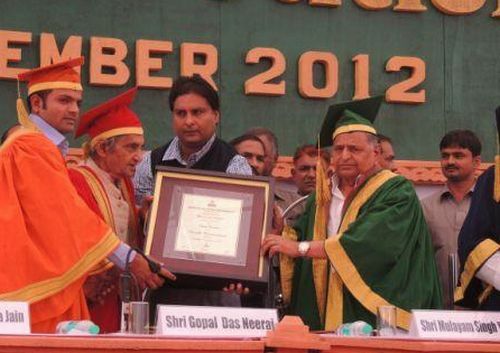 Samajwadi Party Supremo and former UP Chief Minister Mulayam Singh Yadav has presented the honored during the annual convocation of Aligarh Muslim University at Aligarh. Himachal Pradesh shooter Vijay Kumar, who belongs from Hamirpur, had won Silver medal in the 25m Rapid Fire Pistol event at the London Olympics. 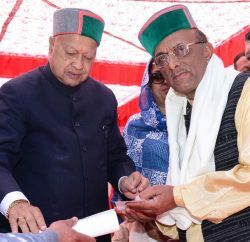 Himachal Pradesh had conferred shooter Vijay Kumar with ‘Himachal Gaurav’ Award. He was also selected for the prestigious Rajiv Gandhi Khel Ratna Award.